In this competitive era, you must have a full-featured website for your business promotion. Onqanet Technologies has vast resources to develop well-functioning sites for clients. This website design and development company offers line-up solutions for both front-end and back-end support. The professionals working in this web development company can convert the simple website to the powerful business tool. The smart web graphics and custom website codes are our greatest weapons in this competitive field. The mobile responsive web portals developed by our highly skilled web developers provides smooth browsing experience for each of the site users. 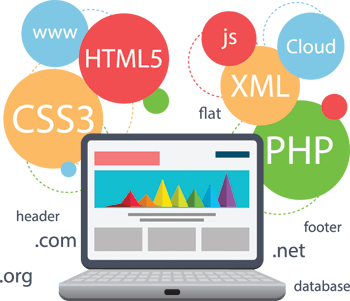 The affordable web development solutions coupled with technical approach allow us to extend the existing functionalities. The professional web development services offered by us assure that our clients get the best ROI along with a profitable business outcome. Onqanet Technologies, leading website design, and development company has a decade of experience in offering web solutions for both B2B and B2C sectors. Since inception, the dedicated web developers working in our agency has delivered products for more than 500 happy clients worldwide. Get full-packed high-performance responsive websites from our professionals. We have the best PHP framework available that makes our web development process easy and help you to focus on your business.